Sunday afternoon finds me looking out to sea from one of my favourite coffee shops, no cake only coffee, I have decided not to have Victoria Sponge. In my experience, cakes at the end of a day are normally dry and Victoria Sponge does not lend itself to being dry. Susan is in Dubai for a couple of weeks, they are getting ready to launch a new attraction and it is all hands on deck to finish in time. Actually I am alone at the moment as Robert is in California, Michael is in London, never fear, he is back tonight. With Susan and Robert away I do not have to watch what I cook, they are off fat. Rump steak, chips and a huge salad with loads of feta and olives, will be my meal tonight. Tomorrow a rich pasta with double cream and Parmesan. Talking of pasta, I can still hear my mum saying how much she loved pasta. A pity she left us so soon, way before her time. I came upon this and thought it a appropriate description of her. 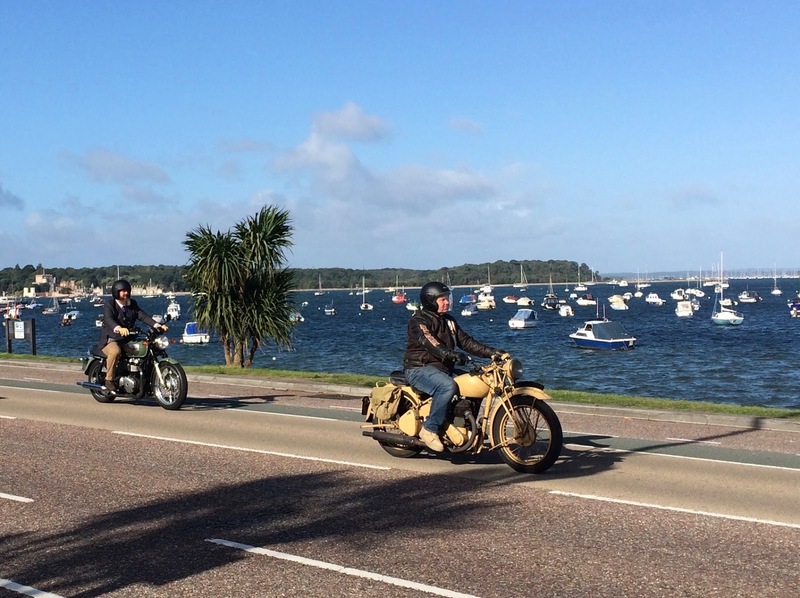 Talk about wars, I passed a large number of motorbikes today, driving in a long convoy and all dressed up. 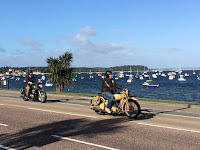 Some where on old bikes, like the WWII and others in formal wear, suits and evening gowns, with high heels. About one hundred I would guess. Wonder what that was all about? Anyway I must rush to get the evening post for this blog. The jet set life of a 1st world Smith family!! !